If the pub was going to happen, we needed to start getting serious. 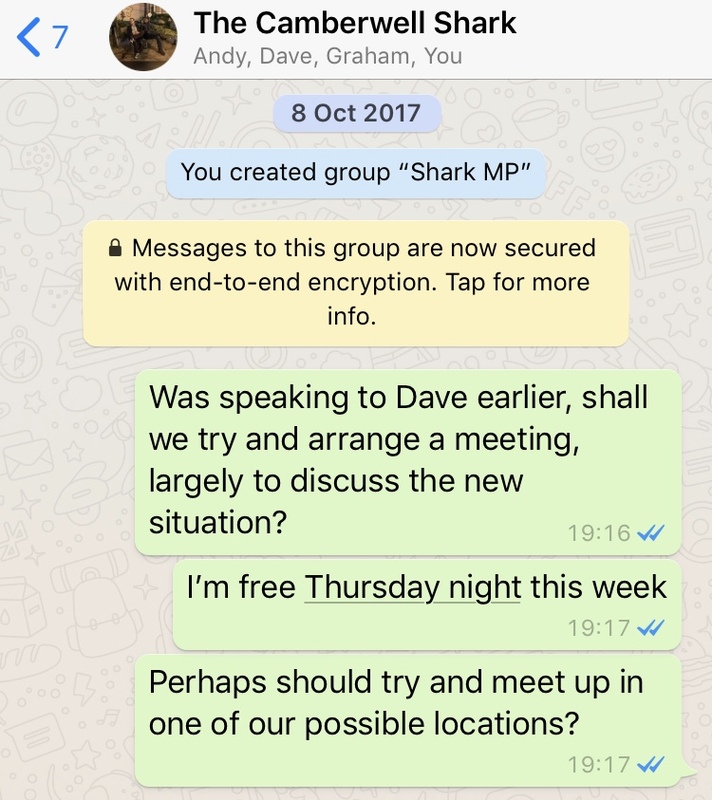 This meant regular monthly meetings and on a Friday lunchtime in September 2017, we found ourselves in The Tokenhouse near Moorgate. We were armed with a list of things to discuss and, to aid those deliberations, pints of London Pride. 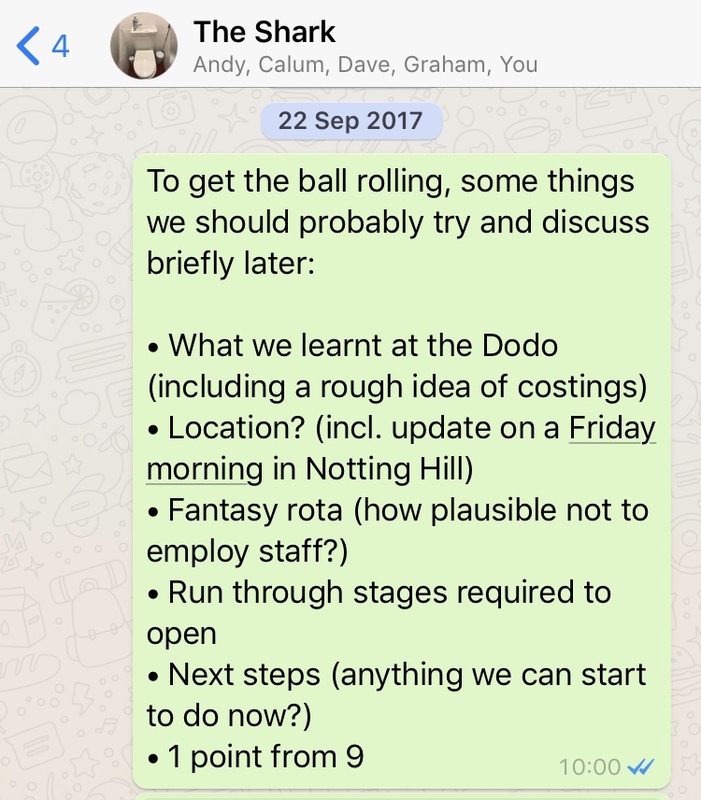 A few weeks earlier, Dodds and I had offered to help out at a 'meet the brewer' event (which was Moncada) at The Dodo in Hanwell. With the cask beer stored in a cold room at one end of the pub, we were on the move all night ferrying beer to the punters who gladly tolerated our guest apperance, even the lady who had to return a glass of water that Dodds had poured her from the hot tap. As well as a great chance to gain some hands-on experience, it provided us with an opportunity to ask Lucy, the landlady, lots of questions about starting-up. We came away with a decent idea of the margins on cask beer, how much beer you could sell on a Thursday night in Hanwell and some helpful pointers on the planning and licensing process. I had been scouting for possible premises on Rightmove and Zoopla over the summer. But we hadn't settled yet on any criteria on location, premises or price. 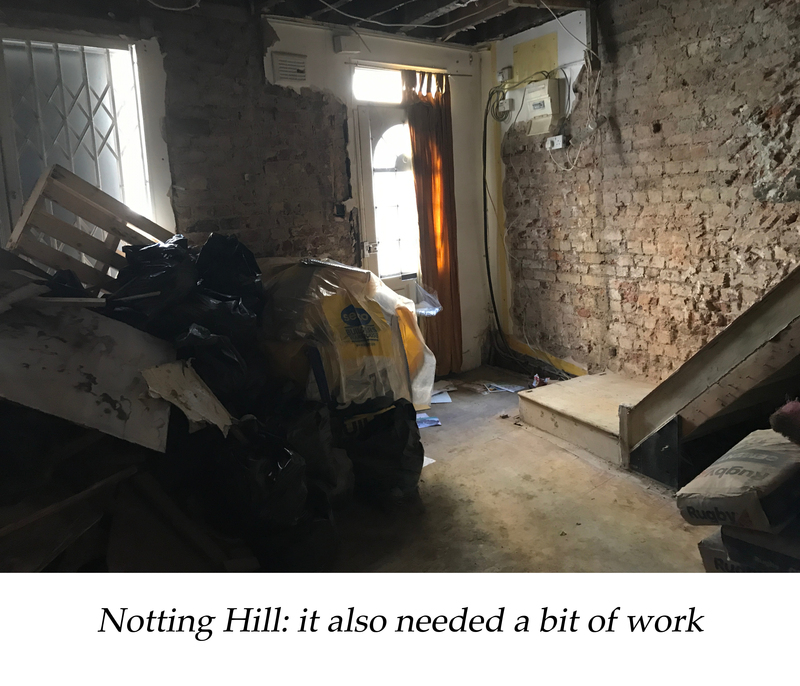 I'd been to view one vacant retail unit in Notting Hill the previous month but the others had ruled this out straight away as being too far away from them. We agreed the search needed some structure. After looking at the pros and cons of different areas we agreed on three rough areas in which we'd search for premises based on how convenient they were for us to get to: Southwark (easy enough for everyone except Cal who lives in East London), Kennington/Oval/Vauxhall (similar) and Old Street (close to where most people work). This was the most important practical question—given our other work commitments, could we run the pub between us without the need to employ staff? This was only feasible if we operated limited opening hours and days for the pub, and even that would require people to leave work early on a regular basis. 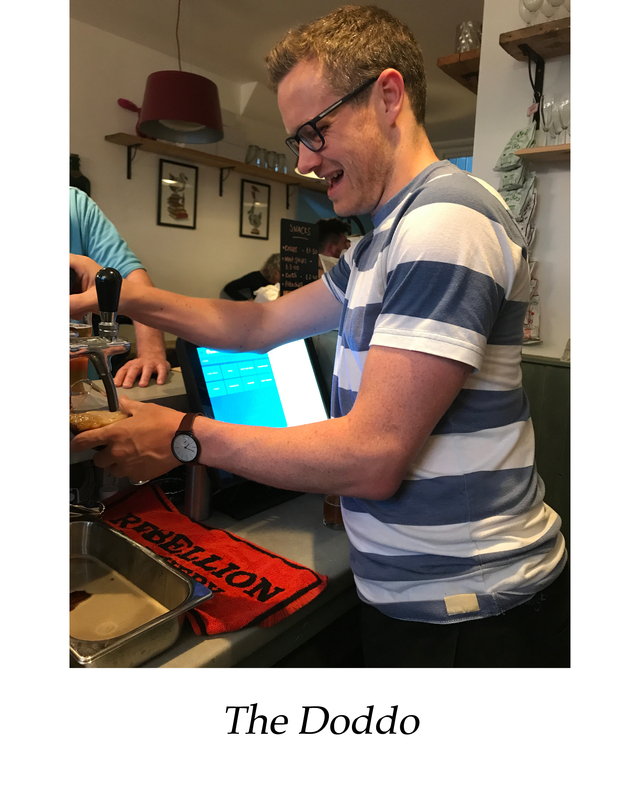 Assuming two of us would be there whenever the pub was open, we played around with a few options and while it looked just about doable, it was clear we would all need to commit a substantial chunk of time to the pub. A long hard think for all of us was required. After reading about the experiences of other micropubs on the Micropub and Microbrewery Association's forum, the planning application process, required to turn a shop into a drinking establishment, appeared daunting. Then there was the premises licence application. And we had to agree a commercial lease with a landlord. As none of us had any planning or commercial property experience, this all looked a little intimidiating. And all that would only get us to the starting point of actually creating a pub from scratch. It is fair to say there would be numerous moments of private and public doubt over the next year. We needed a better grip on the finances. Now armed with rough estimates on the cost price of cask beer, Stockers agreed to run some numbers and, making assumptions on rent and other costs, discover the magic figure of how many pints we'd need to sell a week to break even.